There are many factors that affect the health of bone tissue and overall skeletal integrity. For most of our lives, our skeleton is in a constant state of “Remodeling”. This term refers to the building and break-down of bone tissue that our bodies experience as we age. However, at approximately age 34, bone break-down outpaces bone formation and our Bone Mineral Density begins to decline. Bone Mineral Density refers to the presence of vital minerals found in bone tissue, including Calcium, Magnesium and Potassium. These minerals and nutrients must be obtained from Supplemental or Dietary sources to maintain proper Bone Health. Calcium is the most abundant mineral in the human body, of which approximately 99% is found in our bones and teeth. In order to optimize Calcium absorption and sustain Bone Mineral Density, it is critical to include synergistic nutrients like Vitamin D3 and Vitamin K2. These nutrients promote absorption and utilization of Calcium, ultimately leading to healthy bone formation. Additionally, Magnesium supports Calcium metabolization and fortifies bone structure. Our Platinum Brand Bone Care provides a synergistic 4-in-1 Advanced Bone Health Formula. Featuring Clinically Researched MenaQ7, a Patented Vitamin K2 proven to reduce the rate of bone loss and sustain bone strength. Along with essential nutrients like Calcium, Magnesium and Vitamin D3, offering a comprehensive and synergistic approach to maintaining optimal bone density. We’ve gone through great lengths to carefully source the finest ingredients to make sure every Platinum product delivers superior efficacy. No Artificial Color, Flavor or Sweetener, No Preservatives, No Milk, No Lactose, No Gluten, No Wheat, No Fish. 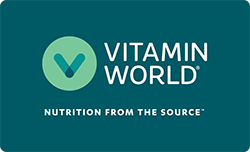 For over 40 years, Vitamin World has been one of the most trusted sources for world-class products. Vitamin World Platinum is scientifically-formulated using the most cutting-edge research to provide impeccably-crafted premium products for optimal wellness. We’ve gone through great lengths to carefully source the world’s highest-quality ingredients to make sure every Platinum product delivers superior efficacy, meets and exceeds all required testing, with most products being vegetarian compliant. Platinum is the solution for providing you with the finest supplements designed to live your best life. Every Platinum formula is based on proven scientific support reinforced by nutritionists to achieve optimal health and wellness. All Platinum products are manufactured in the U.S.A. using the highest-quality ingredients and adhere to the Good Manufacturing Practice (GMP). Directions: For adults, take two (2) tablets one to two times daily, preferably with meals. Other Ingredients: Microcrystalline Cellulose, Tocopherol, Vitamin C Palmitate, Sodium Ascorbate, Maltodextrin, Modified Starch, Vegetable Oil, Medium Chain Triglyceride Oil. Contains < 2% of: Croscarmellose Sodium, Stearic Acid, Vegetable Magnesium Stearate, Silicon Dioxide, Hydroxypropylmethyl Cellulose, Polyethylene Glycol. Warning: If you are pregnant, nursing, taking any medications or have any medical condition, consult your doctor before use. Discontinue use and consult your doctor if any adverse reactions occur. Keep out of reach of children. Store in a cool, dry place. Do not use if seal under cap is broken or missing.